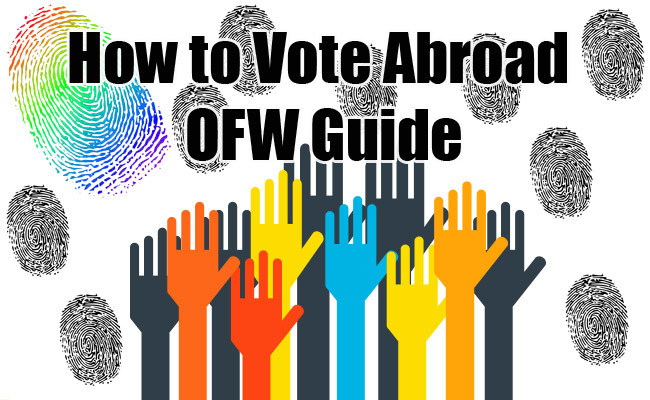 Recently, the Commission on Elections (COMELEC) releases guides for registered Overseas Filipino Voters in two ways. They can vote starting April 9, 8:00 am till May 9 2016, 9:00 pm. The first way is through personal voting. With this way, OFW’s can go in various Philippine Foreign Service post such in economic zones, consulates and embassies. Every host country has a designated special board of elections inspector. He/She is responsible in checking the identity of registered voters through biometrics. After they are verified, they can now get their ballot together with a ballot secrecy folder and move to the voting area to finish his/her ballot. If their service post is using automated election system, they can put their ballots in Vote Counting Machines (VCM) while if the host country is using manual election system, voters are required to fold their ballots the same way they receive it then put it in a ballot box. The COMELEC has a strict rule that a voter must return his/her ballot properly with no damage and not crumpled. The 2nd way is through post manual election system. On this process, the registered voters will receive an email that contains their ballot or they can receive their ballot on their indicated areas. The Commission on Elections has revealed that there were more than 1 million registered overseas Filipino voters for May 9 elections. On this list, most of their jobs are land based while the remaining are related to seafaring but with this figure, COMELEC is not satisfied and they are eager to increase the list of registered voters. Last 2013 elections, it was reported that there were only 16% voters who voted. COMELEC Commissioner encourages OFW’s that their voices must be heard in choosing a leader because they can lead us and they will implement a rule that will benefit them.